Promoter Dana White has described this weekend's fight between Conor McGregor and Khabib Nurmagomedov as the "biggest fight in UFC history". Sputnik spoke to MMA fan Sal Mannan about what is at stake. McGregor has not fought since he switched to boxing last year to take on Floyd "Money" Mayweather in a US$400 million fight. He was stopped in the 10th round and now he is returning to Las Vegas for UFC229 to take on Nurmagomedov, a 30-year-old Avar from the Dagestan region of Russia, who has an unblemished record after 26 fights. Sal Mannan, an MMA fan from London, said he was looking forward to the clash on Saturday, October 6. "This is definitely UFC's biggest fight, and pay-per-view is how the UFC makes its money. PPV sales in the US market have been drastically falling from an average of 800,000 sales at $70 an event to now routinely around the 180,000 mark. But commentators feel PPV sales of two million could be reached come fight night," Mr. Mannan told Sputnik. Las Vegas has always been a second home for me and my family. I love this city from the bottom of my heart. Some of my most lasting memories have occurred in this great city. "However, it is noticeable that there is much less fanfare to this bout than any previous Conor fights. This is down to Conor refusing to entertain the media and could cost him millions," Mr. Mannan told Sputnik. 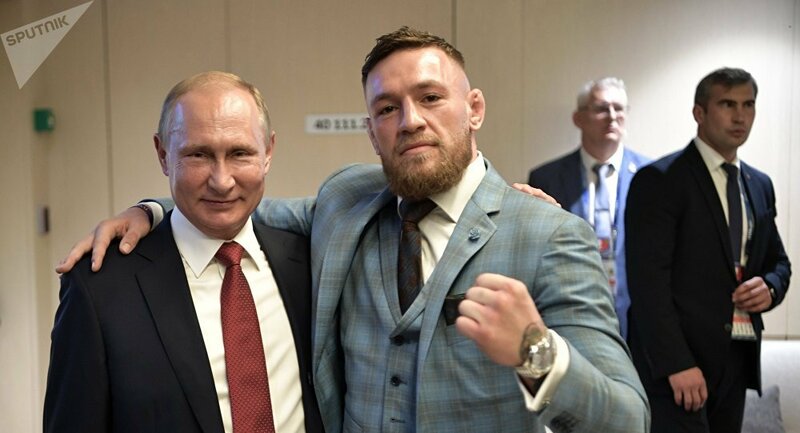 At one of his rare media appearances to promote the bout the Irishman, who is known for his brash antics, offered Nurmagomedov a glass of whiskey, knowing full well he is a practising Muslim who does not touch alcohol. ​Boxers who go for more than 12 months without a professional fight are considered to have "ring rust", which often hampers their ability to win bouts. ​"Conor's long-time coach and mentor John Kavanagh doesn't believe in ring rust. He said in interviews that the right environment and intensity is required to get it as close to competition as possible. This training camp seems to be the most serious, with limited press interviews and a steely determination to prove the world wrong. It's been two years since Conor was last in the Octagon, where he lifted two championship belts," Mr. Mannan told Sputnik. "Khabib is unbeaten in 26 fights. He doesn't just beat his opponents he annihilate them with his sambo wrestling skills. Opponents have literally run away from him in the Octagon," Mr. Mannan told Sputnik. "Everyone, including his fans, expect McGregor to lose. But there is a puncher's chance for a Conor win, and every finger and toe is being crossed in Ireland and in the UK," Mr. Mannan told Sputnik. If He Loses, Is It All Over For McGregor? "Conor has two more big draw bouts, two lucrative bouts he could enjoy in the UFC even if he loses. Firstly a third bout with Nate Diaz, for Conor to finally lay his opponent to rest. And also a potential super-fight with former PPV king George St Pierre," Mr. Mannan told Sputnik. If McGregor does decide to call it quit in the Octagon, or persuades Mayweather to a rematch, there are other big UFC fights to look forward to in 2019. ​"Daniel Cormier, the heavyweight and lightweight champion, will be fighting former heavyweight champion and WWE star Brock Lesnar, although a date is yet to be confirmed. And the long awaited bad boy of the UFC, Jon ‘Bones' Jones returns from suspension this autumn," Mr. Mannan told Sputnik. He said Dana White was "possibly the greatest promoter in prize fighting." "He helped grow the UFC from a $2 million business that was $40 million in the red to one which was sold for $4 billion," Mr. Mannan told Sputnik.